The Noosa area’s other popular destinations are many and varied. Closer to home, these include: Sunshine Beach and eastern beaches with a sparsely populated beach line and superb surf conditions; Noosa Junction, offering boutique shopping, cinemas, the J cultural theatre, and a central shopping centre; and, Noosaville on the Noosa River offering spacious waterfront parks, access to boat, kayak, paddleboard and canoe hire and a plethora of quality dining options. The Noosa River has its beginnings in the pristine wilderness of the Cooloola section of Great Sandy National Park. The river meanders through the Noosa Everglades, and a series of lakes and mangrove forests, before emptying into the sea at Noosa Heads. 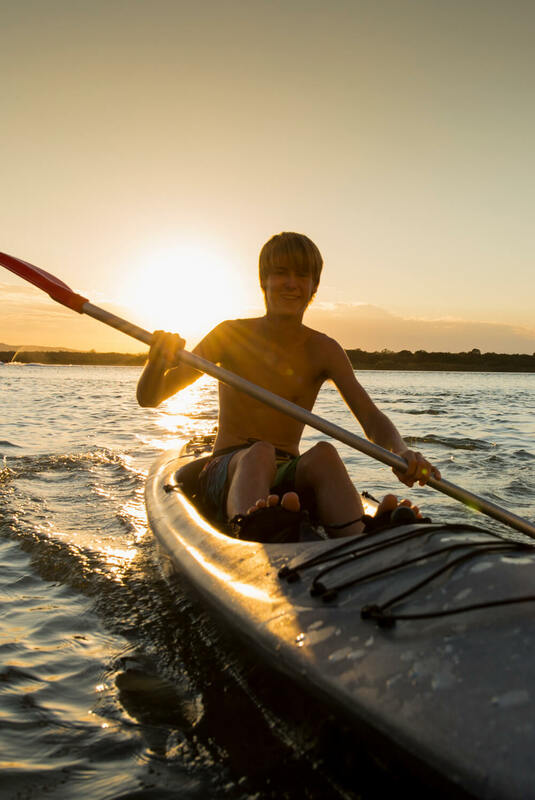 Surfing, swimming, fishing, canoeing, kayaking, boat hire, stand-up paddle Everglades tours and ferry cruises are all popular activities on the river and on Noosa’s waterways. World Heritage listed Fraser Island is also accessible from Noosa and is a popular day trip option. Fraser Island is the largest sand island in the world and the only place in the world where tall forests grow out of pure sand. Noosa is ideally located to explore by car any number of regional attractions and hinterland towns that make this area so unique.